In many areas of business, technological advances, as well as a new understanding of how they are applied, can help to improve the ways a service or product is offered. This is especially the case with regards to using emails as part of an effective marketing strategy. With advancements all the time, it is possible to send almost tailored emails to individuals, while in fact they are only one of perhaps thousands of emails sent. Let’s have a look at the technology behind this, and how it works. These hubs use one simple screen, upon which you can create, test and send your emails. This can reduce the time (as well as effort) by up to 75% compared to the less sophisticated means to initiate an email campaign on behalf of your business. This technology allows you to send across a variety of platforms – such as mobiles and tablets – as well as the usual PC route, with a click of a button. The responses that come back can also be tweaked for future mails using the hub, allowing you to A/B test subject lines, names and content compared to response rates. This technology allows you to embark on an email campaign, through the setting up of triggers, which run according to the responses received. Once you have made the settings (just once is all that is needed), you can leave the technology to run and respond in the background, sending out different mails – known as multi-step emails- according to the replies. This technology saves you the time and effort of creating a standard set of replies and having to send them out in batches, or replying to individual emails. This adds a personal touch from the recipient’s point of view, as the technology will respond for you, giving the impression to the prospective customer that you have taken the time to send an appropriate and timely reply to them. Instead of creating one ‘catch all’ newsletter to send to your clients and subscribers (who may not have already made a purchase from you) you can use email technology to personalize the content of these newsletters. Integrated into this technology is predictive analysis, which allows you to offer services and products specifically for sets of clients/subscribers. This perceived personalized treatment by clients/subscribers encourages them to take advantage of specific offers or deals you may offer in emails. Content such as ‘over 25 males’ or ‘married women over 50’ can be inputted into the technology along with the predictive analysis to offer a different newsletter for different sets of clients/subscribers. You can easily keep an eye on the number of emails which reach your potential clients’ inbox, and which recipients blocked your mails, and which went straight into the spam box. These results, usually shown in a summary, can be used to improve the destinations of your next emails, allowing you to target (or not target, as the case may be) your next set of potential customers. This continuous monitoring will provide the business with actionable data, results and information which can really be used to improve the chances of not only getting into the recipients’ inboxes, but being opened as well. If the companies using this technology are trusted by an ISP or an email service provider, this can prove to be a huge bonus as well. Keeping on top of new and improved technological advances can sometimes be tough, especially for small businesses with only a few employees. However, using these types of advances when engaged in an email campaign to offer services and products will pay off. 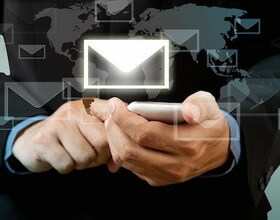 You can keep a track of the number of mails sent in any given hour, and calculate the direct sales due to these mails. The results of an email campaign can then be clearly analyzed by the business, and decisions regarding the next campaign can be tweaked and upgraded, giving the business potentially even greater results.